As the boys social clubs grew in popularity during the 1950s, girls expressed interest in forming their own clubs. The girls social clubs that sprang up during this period included the Shebas, Blue Velvets, Madonnas and Faberges. While girls had historically taken the lead in their own social activities, especially when it came to charitable events such as food drives or kids programs, their social clubs operated in many ways as auxiliaries to the various boys clubs which included Los Gallos, Los Lobos and Los Chicanos. By belonging to a social club it became easier for the girls to explain to their parents the amount of time they were spending at Neighborhood House. There had been a slight change in the double standard applied to boys and girls in the community. Boys were traditionally allowed to spend as much time as they wanted away from home but girls were required to reveal where they were going and why. A meeting or class at Neighborhood House was an acceptable reason for a girl’s attendance. Joint meetings between the boys and girls clubs were often social events. A trip to Mission Beach for a beach party was referred to as a joint meeting. Usually the girls took the responsibility for providing the food. As Gloria Medina, a member of the Faberges at the time (and more recently known as past chair of the Chicano Federation) reminded me, this practice–and problem was also true in the early days of the Chicano movement. Neighborhood House was not the meeting site for all the girls social clubs, but as Isabela Navarra Whealer commented in her interview about Neighborhood House “that’s where the cute boys were.” That seemed to be the draw to Neighborhood House in addition to the other activities for girls that took place there. The word soon spread around town that Neighborhood House held great dances and everyone wanted to go there. Most of the girls described the activities as “safe.” Neighborhood House was viewed as a supportive environment. The girls learned many of the social skills that would serve them later in life. Though there were many social events, the dances were considered a really big deal. The oldest of the girls social clubs was the Shebas. The Shebas held their meeting at the Southcrest community center in Shelltown. The Shebas had several Anglo and Latina Members from East San Diego. In those days the term “patty” was used to describe an Anglo. 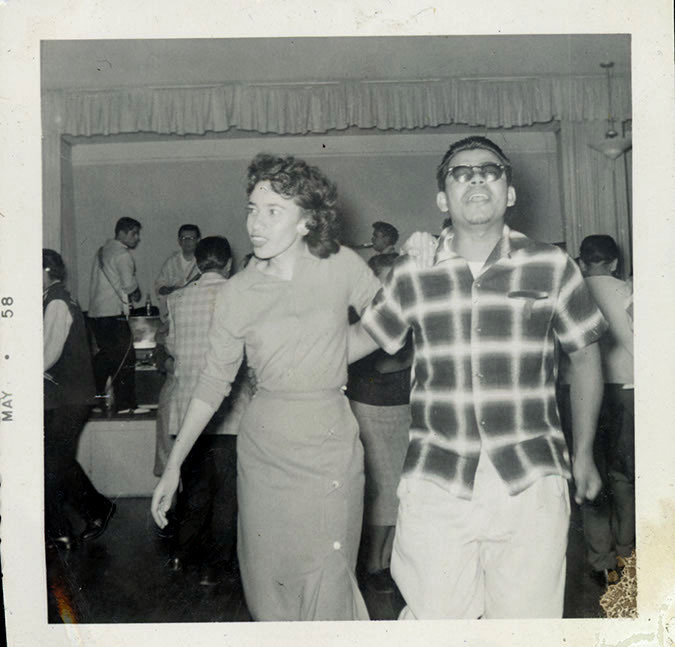 One Latina, Mary Soltero Ontiveros, remembered being told by an Anglo classmate from Hoover that she should go to the dances at Neighborhood House. Mary’s first question was “where is Neighborhood House”? When the response was in Logan Heights, her next question was where is Logan Heights? Living in East San Diego, now known as City Heights, she was completely unaware of Logan Heights. Mary said some of their joint activities were with Los Chicanos. Several of the girls social clubs remember doing neighborhood clean-up projects but do not remember if the clean-ups were led by the boys or the girls social clubs. Usually the clean-ups were not so much a neighborhood clean-up but focused on a specific location such as an empty lot or a portion of a park. Maria Reserva, another member of the Shebas, recalls a car wash project to raise funds for their joint activities. The Blue Velvets held their meetings at the home of Helen Delgado. Alice Ledesma remembered that they would have their meetings and then a small social would follow. The small social was a dance where a few boys were invited over to be dance partners. The Blue Velvets held a formal dance at the Grant Hotel. Connie Zuniga who grew up in Logan Heights, remembered this as a very special event, with the girls wearing long gloves and ballerina length dresses. The Shebas mentored the girls from The Madonnas. The Madonnas were a younger group of girls. The club started with around ten girls and grew to around thirty- five girls. Their meetings were held Monday nights and the club dues were a quarter. If you did not attend a meeting you were still charged dues. There was a fine levied for not behaving at meetings. Tenie Ceseña was the President of the Madonnas. The Madonnas had a white sweater with the letter M on the pocket as a symbol of their club. She explained that they would feel safe walking in a group to and from Neighborhood House. Tenie says she felt that everyone got along and there was a certain familiar feeling with the different clubs and neighborhoods. The girls social clubs dances, like those held by the boys, began to move from Neighborhood House to places outside of Logan Heights. After the dances, a stop at Richard Longs drive-in restaurant located on 8th and Market was expected. A typical food order was a hot dog with bacon wrapped around it. The girls would be in one car and the boys in another car. The unwritten but understood rule was that the boys were to get out of their cars and come over to the girls’ cars to talk to them. In those days girls did not go to the boys’ cars. By the 1960s the downtown Oscars had become the place to go. In the 1960s some of the Neighborhood House programs began to be sponsored by outside agencies even though they were still held at Neighborhood House. San Diego Gas and Electric sponsored a class on the use of new appliances. The class was for the women in the community but also allowed several of the teenage girls from the neighborhood to participate. Remember this is still a time when the expectation was that girls would grow up to be good wives and mothers. 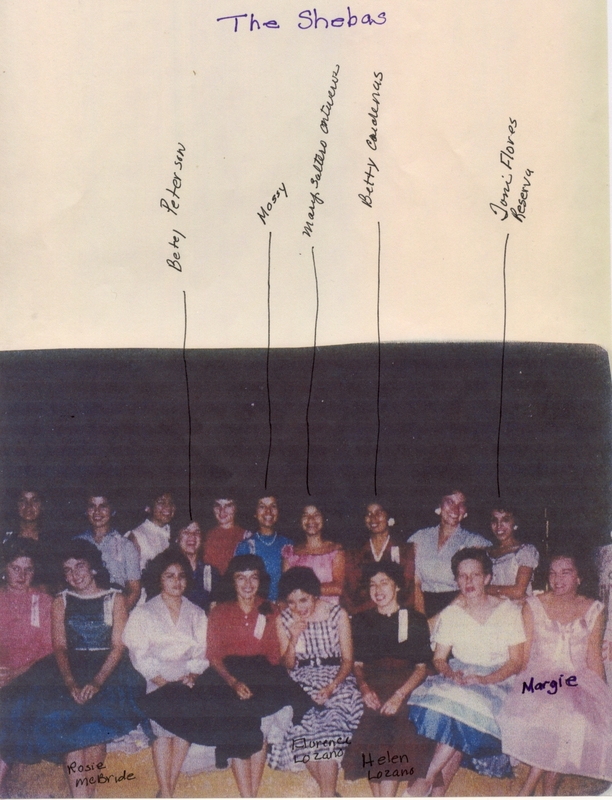 The traditional classes from previous years were still very evident in the early 1960s. The cooking, English, and immigrant classes along with an occasional health presentation by Mrs. Wilfreda Brackett, assistant nurse, or someone from the public health department were all part of the daily life at Neighborhood House. There was still an immunization clinic provided in the adobe cottage in the back of the big building. The old USO cottage next to the Harbor House was used for the arts and crafts classes. It was also a social center that was rented for various social activities. Irma Castro’s sister Yolanda’s baptism reception was held in the cottage. The cottage had a kitchen and a bathroom and became a very popular place for social activities. In the early years a voluntary maid’s class had been sponsored by Neighborhood House and the girls found employment through the contacts from the Marston family. By 1960 a pilot program sponsored by the Welfare Department was held at Neighborhood House. The class was “How to Become a Domestic Worker.” Social programs were beginning to come to the community because of new federal programs. Women who received “aid to dependent children” (welfare) were encouraged to attend. 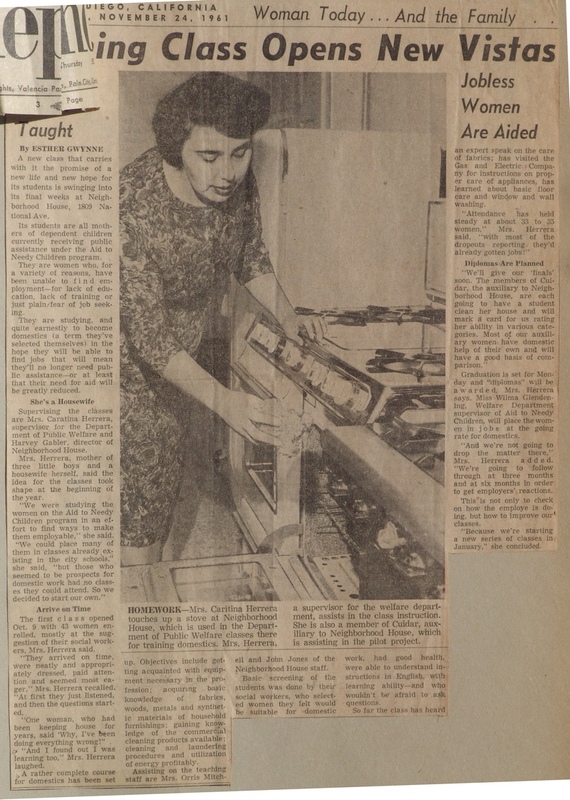 A news article in the San Diego Union dated November 24, 1961 states: “these women for a variety of reasons have been unable to find employment.” The class was taught by Carolina Herrera, a supervisor in the welfare department. Mrs. Herrera was also a member of Cuidar, an auxiliary for Neighborhood House. In 1961 Irma Castro went to work at Neighborhood House as a part-time bookkeeper. The Rodriguez/Castro families’ involvement in Neighborhood House goes back to the 1930s and 40s. Irma’s uncle Dr. Armando Rodriguez went to Neighborhood House as a child and later coached wrestling there. Irma’s Aunt Katie (Katie Farley Rodriguez) was a leader in the union for the cannery workers. Irma and her sister Yolanda would be taken to union meetings at a very young age. Even before the McCarthy years people were being branded as communists. There was a genuine fear of being seen as a communist. As they held their meeting the shades of the windows at Neighborhood House would be pulled down in order to prevent someone from spying on them. If the kids behaved during the union meeting they would be rewarded with a ticket. The ticket would then be taken to the Coronet Theater and redeemed for an ice cream cone. Irma herself will tell you that her academic background was in science and not in math or business. When she was hired at Neighborhood House the director was Harvey Gaybler, who came with a strong background in the settlement house movement. The budget was a modest $70,000. Irma takes great pride that only once in all those years were her books wrong. That particular year she was off by one penny. One auditor taught her a great deal about the use of statistics, a skill that would serve her well as she wrote proposals and in her later role as the director of the Chicano Federation. 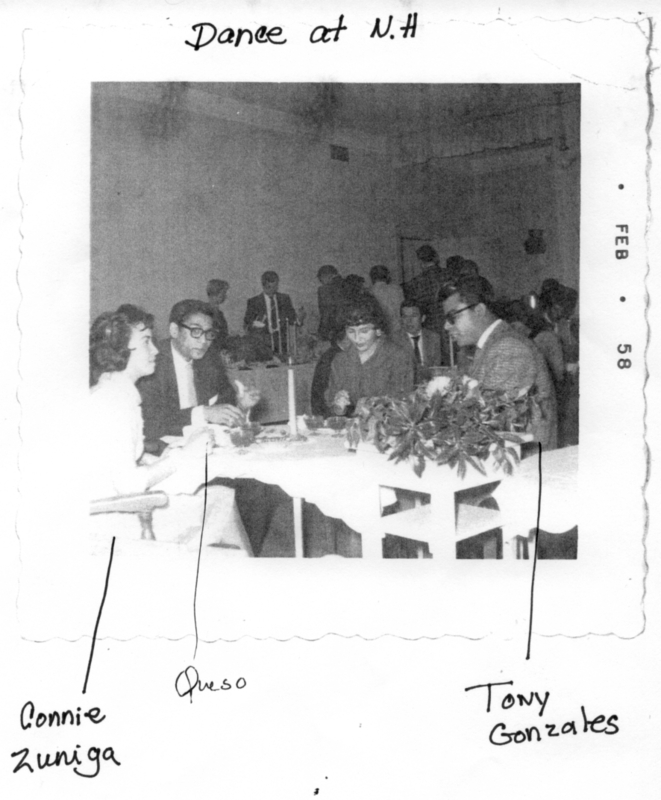 In the early 1960s there were very few Mexican Americans working at Neighborhood House. Most of the employees were Anglo. Irma was called upon to translate on a regular basis. 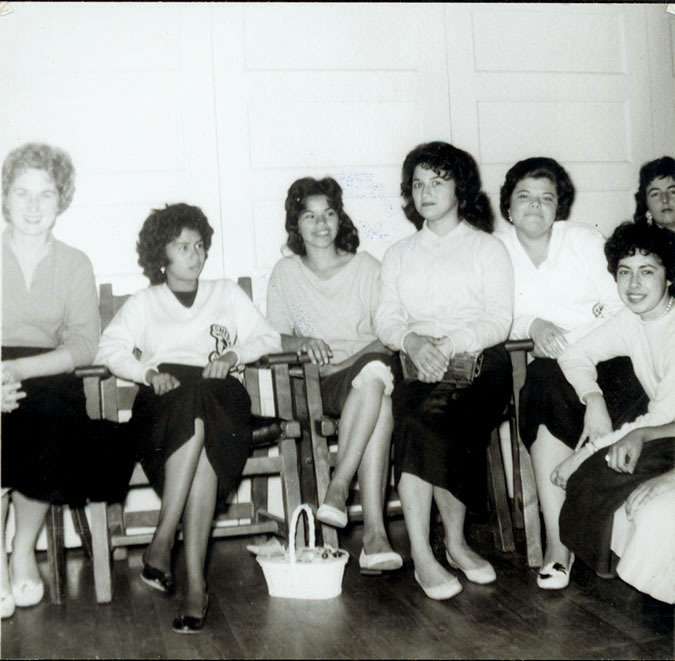 In 1959 the board of directors of Neighborhood House had been criticized for the lack of representation of Spanish speakers among its staff and the lack of board members who were representative of the Mexican American community of Logan Heights. When Irma wasn’t working at the Neighborhood House she was working on Alan Cranston campaigns. In 1962 he won a second term as State Controller and in 1968 he was elected to the U.S. Senate. Neighborhood House was clearly changing. Federal monies in the 60s were available for social (welfare) programs that diverged from the progressive era settlement house philosophy that had shaped Neighborhood House since its inception in 1914. And perhaps most important, generations of Mexican Americans had indeed become “Americanized” and were demanding positions of leadership in every aspect of their social and political life. The seeds of the occupation of Neighborhood House which would occur in 1970 had clearly been planted decades before. The complete History of Neighborhood House in Logan Heights here. « Don’t We All Have the Right to be Left Alone? Wonderful history. Thank you for compiling this Information. I grew up in Clairemont, and was a few years too young to have participated in any of these activities. But when visiting Baja family, during summers in Ensenada, the “social” groups my cousins introduced me to were an eye opening social & cultural experience. Lori Thank you for your comment. The NH has so much history and I am so proud people have shared their stories. Edith, I sent you that picture via email if you have not received it check your spam. I know your in the Sheba picture but were you a Sheba or a Blue Velvet? I will keep my eye out for a picture of Louie. When you come to down we should get together and go through my pictures. I have two albums full of pictures and in many of the cases I do not know who the people are. I am glad you are following the articles. I hope we can get together soon. My dad, Frank, was in Los Chicanos when he was a kid in the ’50s. My dad’s home life was not very stable, but he always speaks well of his friends and club members. Nico your dad’s story is no unusual. so many young men/women benefited from the social clubs and from the mentoring of Al Johnson and coach Pinkerton. If you have pictures from Neighborhood House please contact me. As a Portillo I am assuming your related to Gloria Jean she knows how to find me. Thank you for taking the time to post a comment.